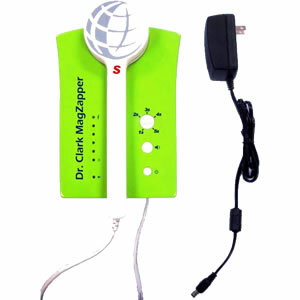 MagZapper is a professional pulsating magnetic field device. It generates a strong pulsating magnetic field. Magnetic fields are known for increasing our well-being and giving us more energy. They revitalize and relax us. MagZapper reaches a magnetic field strength of 6.000 Gauss (0.6 Tesla) at 0.2 Hz (1 pulse per 5 seconds). This is a very strong field. At 1 Hz (1 pulse per second) the device generates pulses of 2.400 Gauss (0.24 Tesla), therefore 5 times more often. Thus the biggest magnetic field is reached at a slow frequency, but the product of strength of pulse multiplied by time is the biggest at a low frequency. 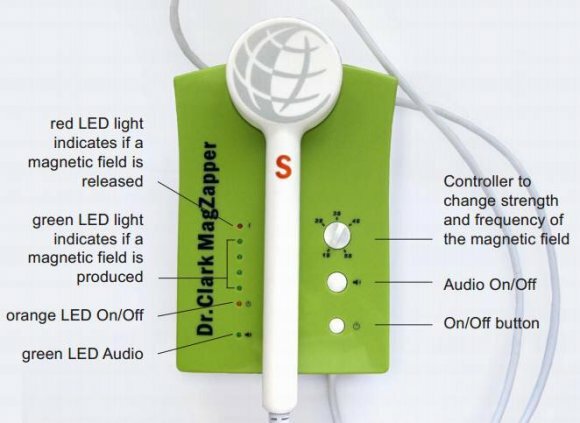 How to use the MagZapper? When should the MagZapper not be used? Patients with cardiac pacemakers or other electronic implants. Feverish fungal and bacterial infections. Most people feel nothing aside from a gentle heating during an application. Sometimes a light prickle might occur. Start with 20 minutes per day and increase slowly to up to 2 hours per day. A regular application over a long period is the optimal basis for good results.